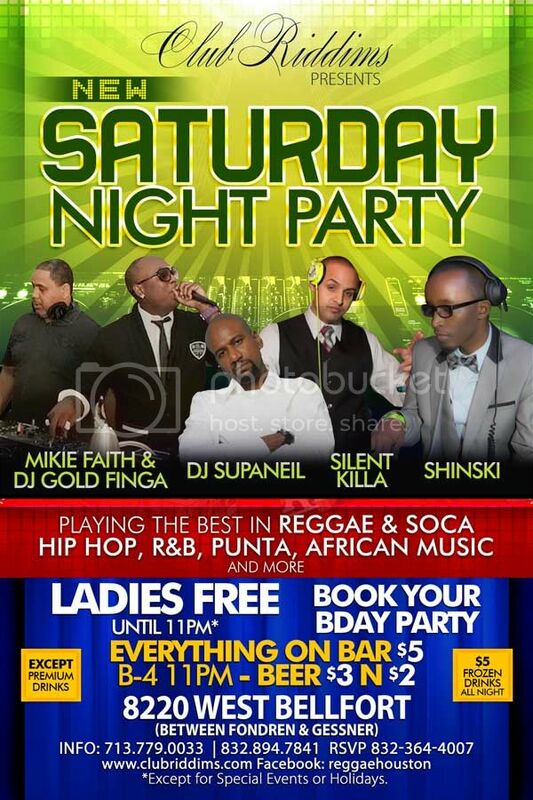 The very best in Reggae, Soca and Hip Hop with DJ Goldfinga alongside rotating selectors DJ Shinski (Houston's #1 African DJ) and DJ Silent Killa (2012 - 2013 Spin Off Champion. Is this really the only dancehall joint in HOuston? The best in Reggae, One Love.